ATLANTA — Coach Tata Martino is leaving Atlanta United at the end of the MLS season. United made the announcement Tuesday, saying Martino turned down an offer to extend his two-year contract beyond 2018. 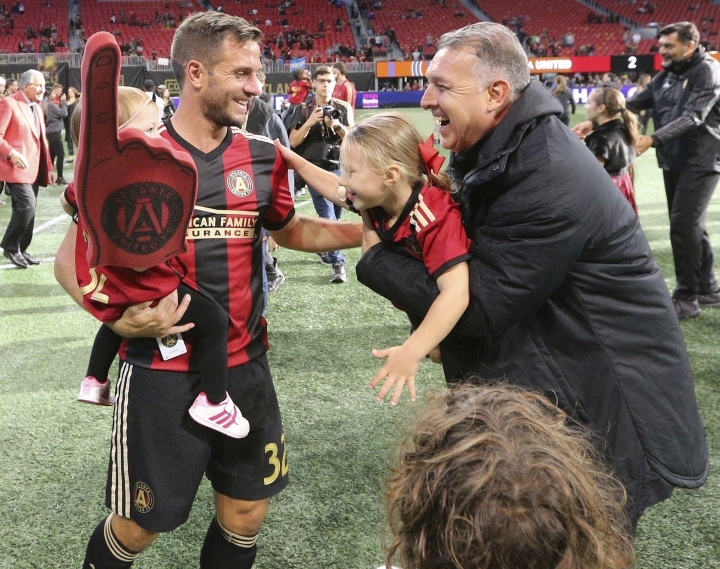 The former Barcelona and Argentina national coach has guided Atlanta to success during its first two years in Major League soccer. The expansion team made the playoffs in its inaugural season. It goes into Sunday's regular-season finale at Toronto with a chance to claim the Supporters' Shield for the league's best record . Atlanta already earned a spot in the 2019 CONCACAF Champions League. But a new coach will be leading the team when it takes the field in February seeking a continental title. United has been a wildly popular team in Atlanta, essentially selling out every game and setting numerous attendance records. This season, the team averaged more than 53,000 fans, breaking its own mark set in Year 1. The team has drawn five crowds of more than 70,000 this season at Mercedes-Benz Stadium. Next Sports Web is a distinct sports news site focusing on the other aspect of the sports world which are hardly mentioned or spoken about. Copyright © 2015 - 2019 Next Sports Web. All Rights Reserved.